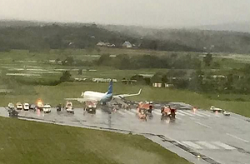 The 737 overran the end of the runway by a few meters while landing in rain. 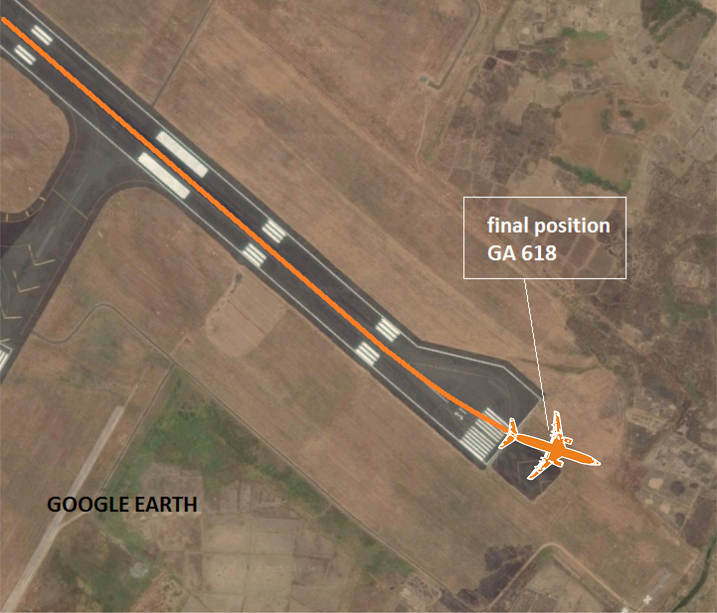 Garuda flight GA 618 from Jakarta-Intl AP (WIII) was number two to land on runway 13 (lengh 2500 m) behind a Lion Air Boeing 737-800 (LNI 739). 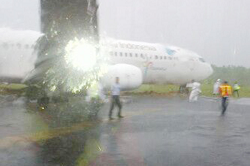 At the time, local weather consisted of intense rainfall at Ujung Padang Airport (Makassar) leaving many patches on the runway. After touchdown the pilots were unable to stop the aircraft within the runway lengh. The 737 travelled across the asphalt overrun area until its nose and left maingear were buried in soft ground. 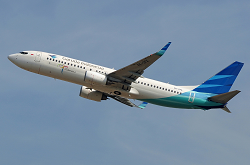 All passengers and crewmembers remained unhurt. 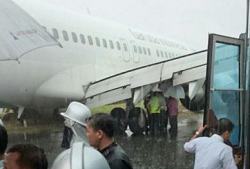 As no emergency slides were deployed, the passengers left the aircraft via small ladders leaned on the R1 and R2 doors until the airport sent an airstair vehicle to the spot. Damage to the aircraft appears to be light, if any. 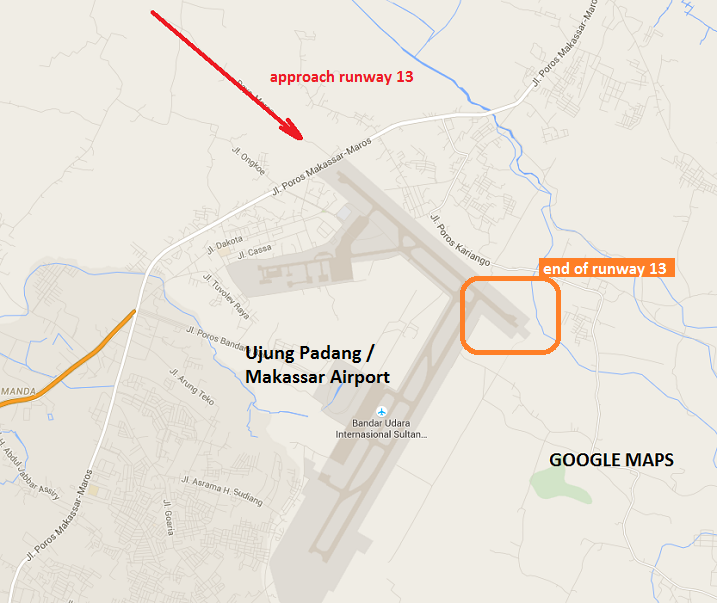 Ujung Padang´s runway 13/31 remained closed for hours until the 737 was removed.